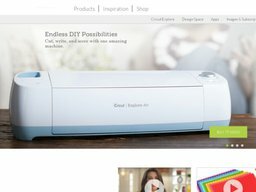 Cricut machines can be found in several third party retailers but you can also buy them online from Cricut.com. This is a particularly popular choice because of the number of special offers and deals available exclusively online. These are redeemed with Cricut coupons, a list of which we keep up to date here at Coupofy. So before you make an order, be sure to check back and choose a coupon, so you can make great savings! Provo Craft & Novelty, Inc. was founded in 1964 and now serves a worldwide customer base of millions. Today Mr. Ashish Arora serves as President and CEO of the company, and pride themselves on offering employees full benefits, paid holidays and 401K. The online Cricut shop sells a comprehensive range of cutting machines, cartridges, and related supplies. Depending on what Cricut coupon codes are available at the time you may be able to get money off any of these products, or specific items only, such as cricut cartridges coupons. Clicking on a coupon at Coupofy will reveal more details about the offer. 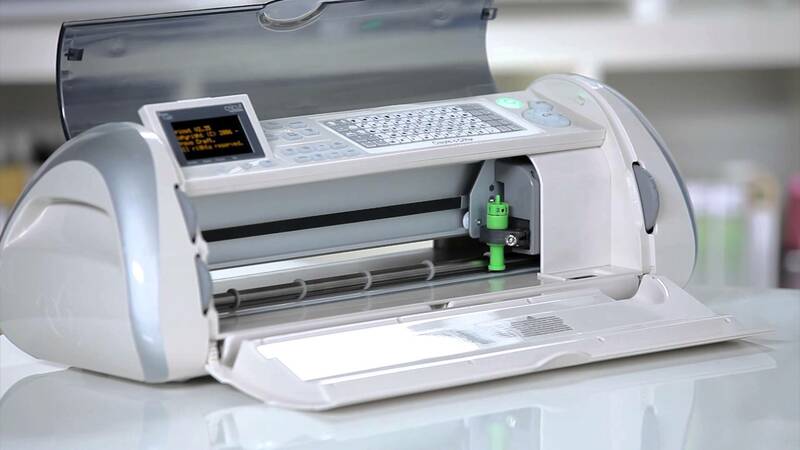 Cricut's current machine models include the Explore Air, Explore One and the Cuttlebug, all of which cut over 60 different materials and can be easily connected to your home pc. Their cartridges and images cover everything from Holidays & Seasons, to Everyday Designs, other Special Events, and even licensed designs from the likes of Disney, Sesame Street, Anna Griffin, Nancy Kubo, Wordsworth, Rob & Bob, and many others. Supplies include Pens & Tools, Blades, Card & Paper, Faux Leather, Poster Board, Vinyl, Foil, Flocked Iron-on, Mats, Craft Foam, Window Cling, Vellum, Washi Sheets, Folders, Dies and much more. There is also a dedicated sales page for those that want to find a bargain. These savings can be further compounded with a Cricut coupon code. If you are a regular cutter you may want to take out a monthly or annual subscription that gives you full access to all of their images instead of having to pay for each one. The site is very easy to navigate, allowing customers to browse via the above categories or use the search bar if they have something specific in mind. Product listings can then be further refined by subcategories and sorting options. The site uses a standard cart and checkout system. If you wish to redeem a Cricut promo code all you have to do is enter it in to the promo box before payment. You should see this in your cart near your total order cost. If applied correctly you should see a confirmation message and the cost should drop according to the offer. Cricut offers just one form of shipping which can take between 7 and 12 days within the United States. They do not ship to U.S. Territories (Puerto Rico, U.S. Virgin Islands, Guam, Saipan, Midway Islands, American Samoa, and Federated States of Micronesia). The shipping cost is determined by the size and/or value of your order, and will be clearly displayed during checkout. Form time to time they offer free shipping through the redemption of a special Cricut promo code. Cricut offer a 15 day return policy, allowing customers to return any brand new and unused items within 15 days of the delivery date. The customer must cover both original and return shipping costs unless they received items in error or they arrived in a damaged or defective state. In that scenario you should contact customer support right away for further instructions: 1-877-727-4288. You must also contact customer support for a regular return to get a RMA number and instructions on the return address. Depending o nthe condition of the return you may be subjected to a 20% restocking fee. Of course if you have used any Cricut coupon codes to get a discount you will only be refunded the actual amount charged (minus shipping and restocking fees) after the coupon was applied.